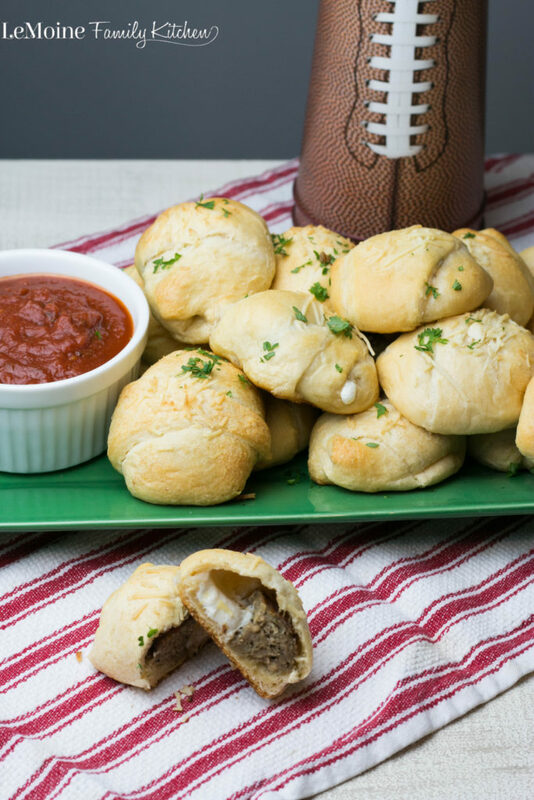 Playoff football is in full swing and I just love getting together with my family on Sundays to watch the game and eat delicious snacks like these Meatball Crescent Bites. When cooking for a crowd, which when it involves my family is always, I like to try and keep things as simple as possible. These really are incredibly simple, so simple that my kiddos could assemble these completely by themselves. 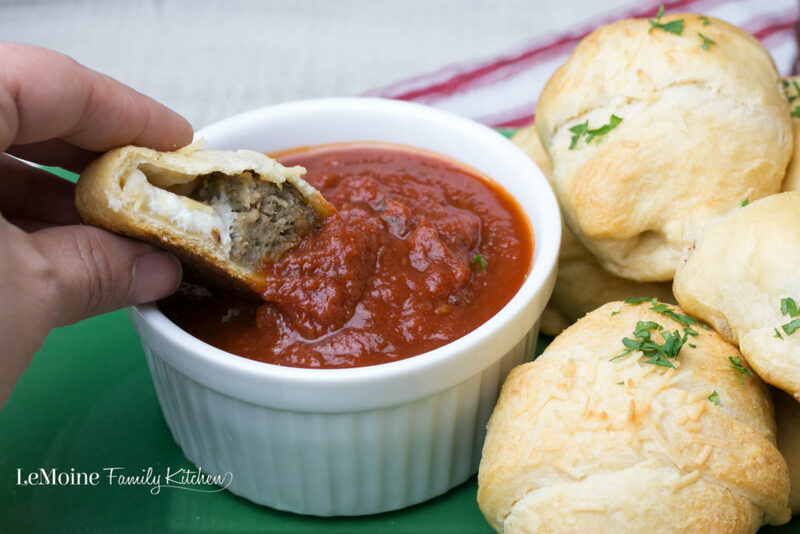 Buttery crescents wrapped around meatball and fresh mozzarella. The bites are sprinkled with garlic powder and pecorino romano cheese. 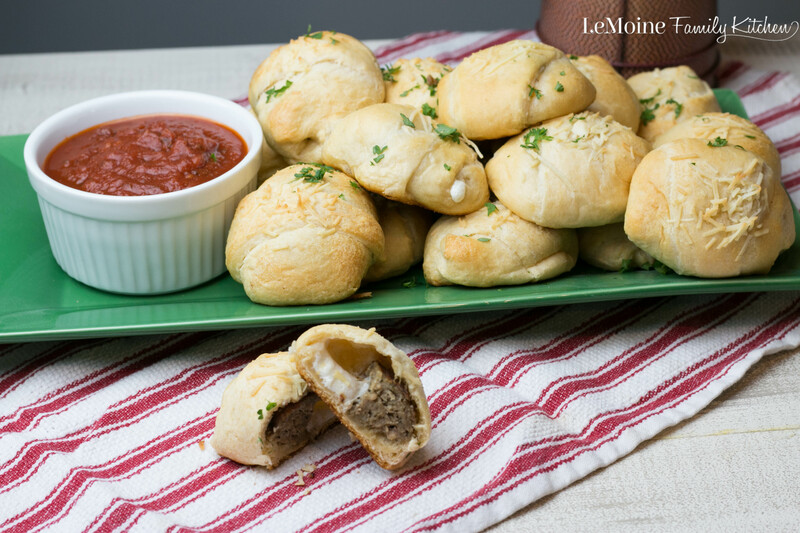 Pop in the oven for about 16 minutes and these are ready to be served alongside your favorite tomato sauce for dipping. 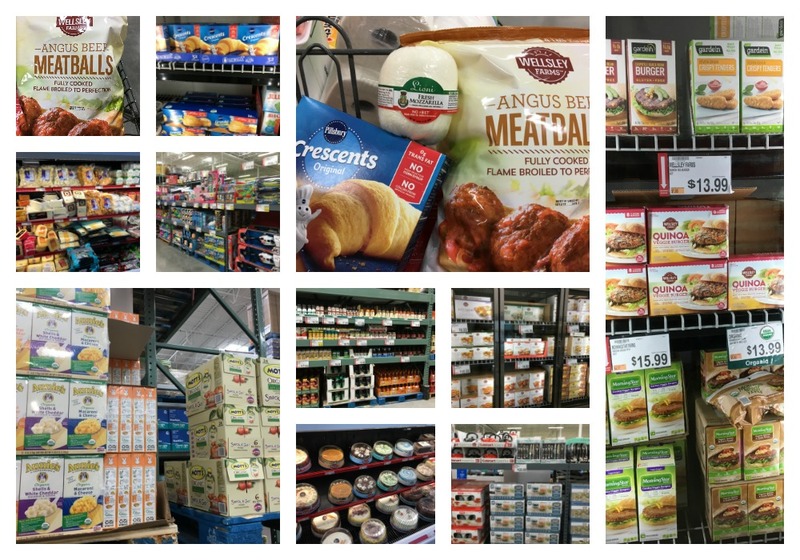 I’m going to let you in on a little secret… BJ’s Wholesale Club is a life saver! My hubby and I have been members for a few years now and we LOVE it!! When the boys were younger it was great for stocking up on diapers and wipes at way lower prices then the grocery store. Now its perfect for all the kids school snacks and cooking for get togethers. You honestly save so much when buying in bulk and the selection is incredible. I am so impressed with the variety of organic products, fresh fruits, meats and household items. Bj’s Wholesale Club makes entertaining so easy! You will find everything you need for your next football game get tougher! They look amazing right? Thats because they are! 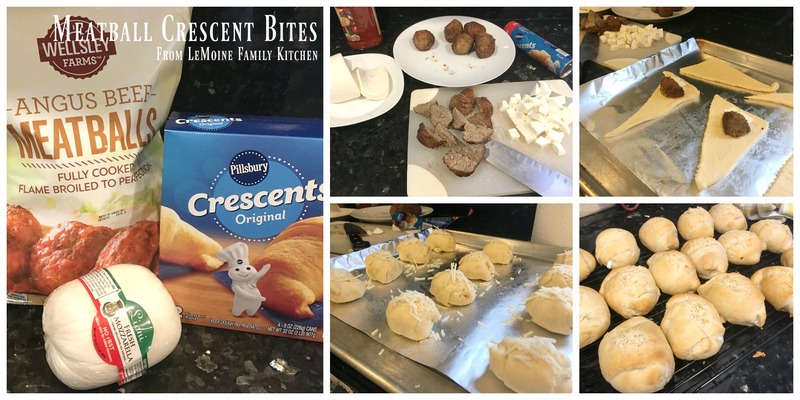 These Meatball Crescent Bites are sure to be a huge hit with friends and family and you look like a rock star with very little effort! Keep it simple, delicious and enjoy the game because no one should be stuck in the kitchen. Head over and grab the limited-time offer to receive $10 OFF A Bj’s Wholesale Club Inner Circle Membership!!! Place the meatballs on a microwave safe dish and warm for about 2 1/2 – 3 minutes. Cut into quarters.